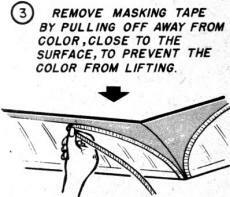 Necktie, lifestyle, and furniture styles tend to go in and out of fashion every couple decades, and so, evidently, do model airplane finishing methods. 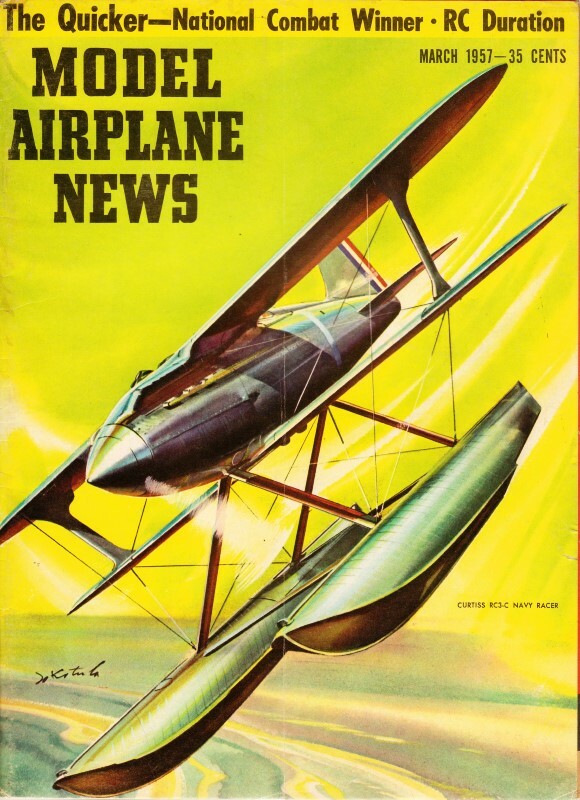 According to some reports, an increasing number of aircraft modelers are painting their creations these days, as opposed to using pre-tinted iron-no covering. That is to say those modelers within dwindling number of people who both to build and cover their own creations at all. 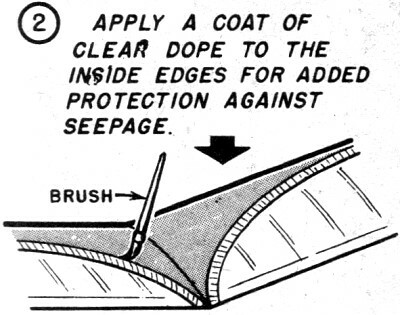 Since at any point in time there are folks entirely new to the procedure for masking off and painting a structure, this 'Kink' from a 1957 issue of Model Airplane News will be appropriate. 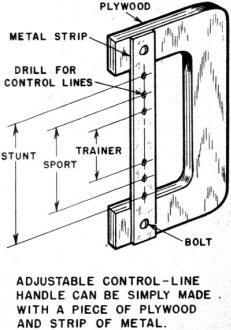 There is also a homemade control line handle not too much unlike the one I recently made for myself. 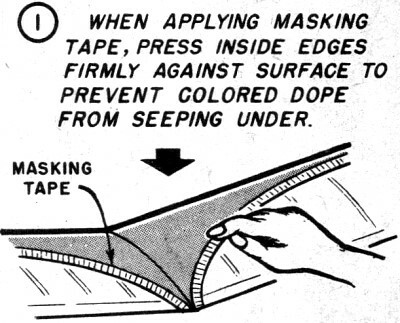 1 When applying masking tape, press inside edges firmly against surface to prevent colored dope from seeping under. 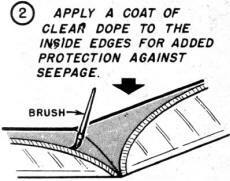 2 Apply a coat of clear dope to the inside edges for added protection against seepage. 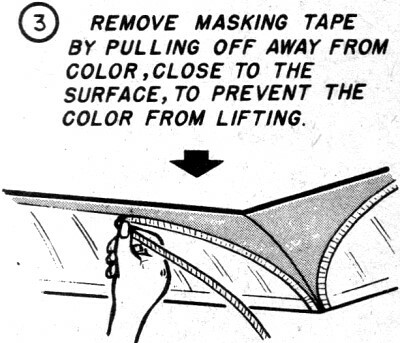 3 Remove masking tape by pulling off away from color, close to the surface, to prevent the color from lifting. 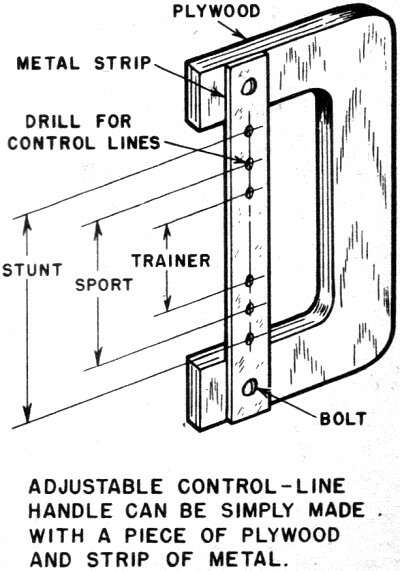 Adjustable control-line handle can be simply made with a piece of plywood and strip of metal.